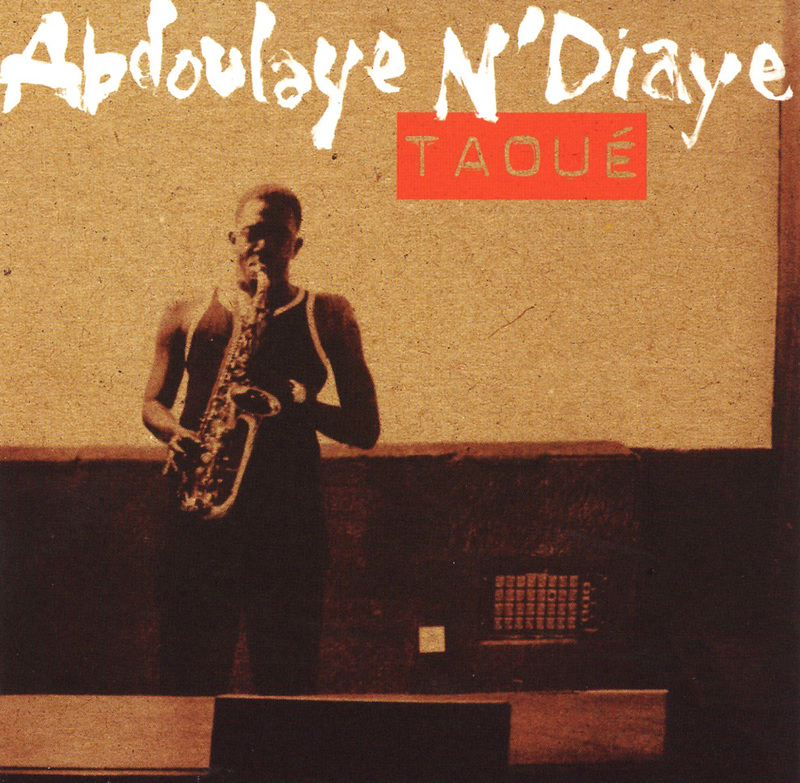 Taoue (Justin Time) is an Abdoulaye N'Diaye release produced by David Murray. In one of the meatier portions of "Aduna," singer Tidiane Gaye flows Islamic-inflected Wolof vocalizations, after a remarkable kora improvisation, as the performance frees itself into a liberating Afro-jazz romp coda with brain-opening soprano sax closing choruses. N'Diaye's Senegalese musical heritage is avowedly influenced by American jazz sax players as well as his classical conservatory education in Europe. The strong writing and playing of this young musician is at ease with traditional African material, per "Casa Leule," or irresistibly tribal jazzy melodious reedings on "Xarrit Sama." N'Diaye musters any technique available to a saxophonist with a repertoire ranging from bebop, such as "Cobb's Cat"-with an enriched Dave Burrell piano solo-to the relentless marching swing of "Wakhtane" or the hip, sultry, mainstream jazz ballad "Darn That Dream." N'Diaye has enviable intonation, range, intelligence and chameleonic skills as a soprano, alto and tenor sax polyglot.